On the same trip to the Value Village where I found my Aarikka necklace, I also picked up this crazy ceramic horse. 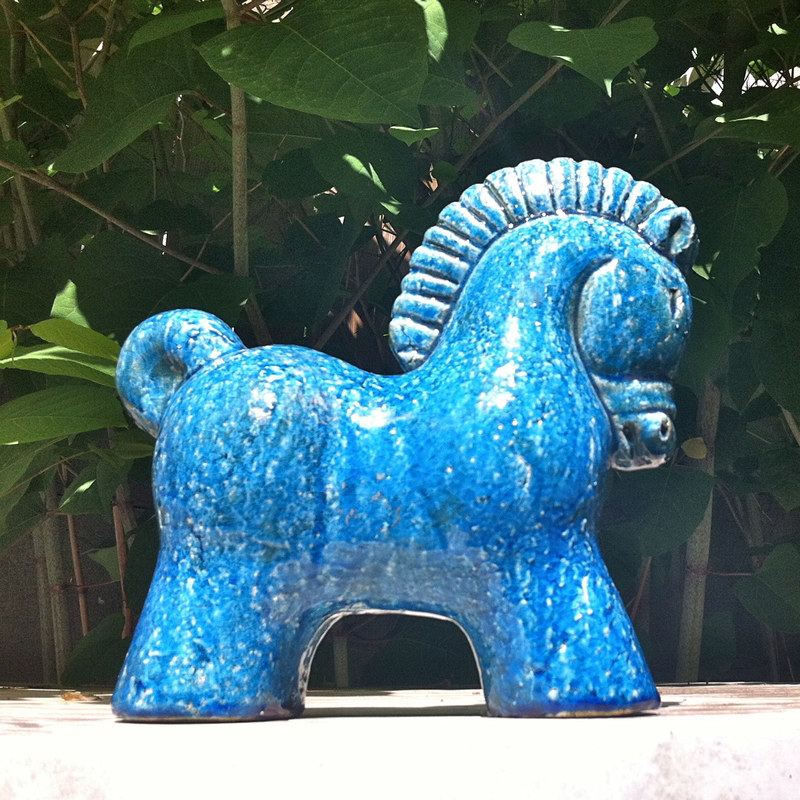 It’s a big boy and I bought it because it reminded me of the Rimini Blu creatures designed by Aldo Londi by Bitossi. I’m guessing it dates from the late 1950s/’60s based on the colour, texture and the design. Unfortunately the previous owners glued green felt to the feet of this equine figure. I soaked it off, but any markings are still obscured. I did find the same statue on eBay with the word ITALY written on the bottom. It was a bit of an impulse buy, and the fella doesn’t really fit in with the rest of the decor — so far. We’re planning a big household reconfiguration once Mr. Andrew’s visiting nephew returns to Denmark and I hope I can find a place for it in the new home office/dining room.